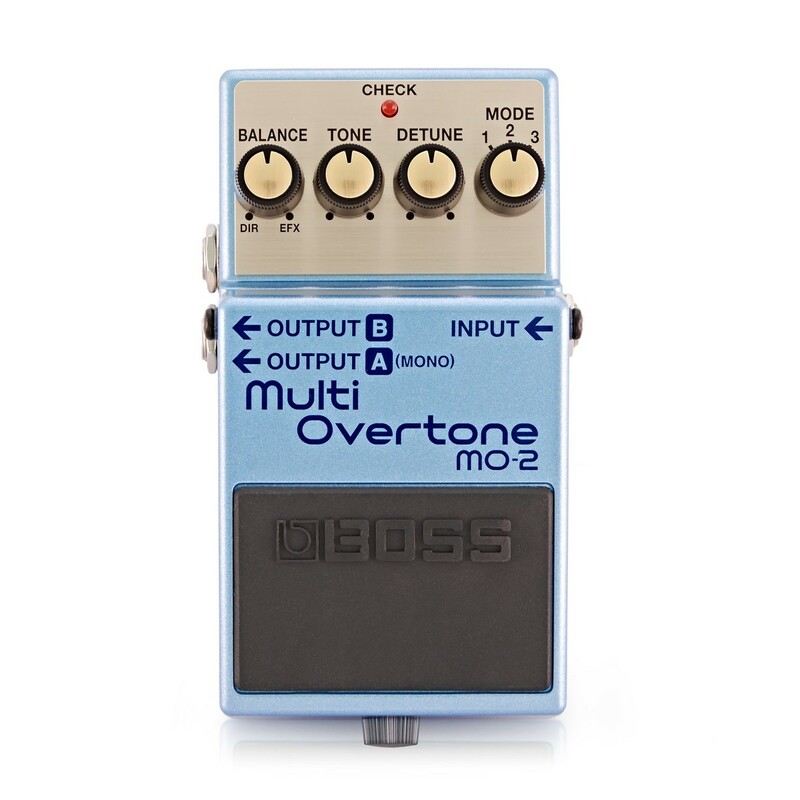 The Boss MO-2 Multi Overtone Guitar Effects Pedal unlocks your guitar?s harmonic potential, creating a wide variety of extraordinary soundscapes for delivering stunning performances. Boss? 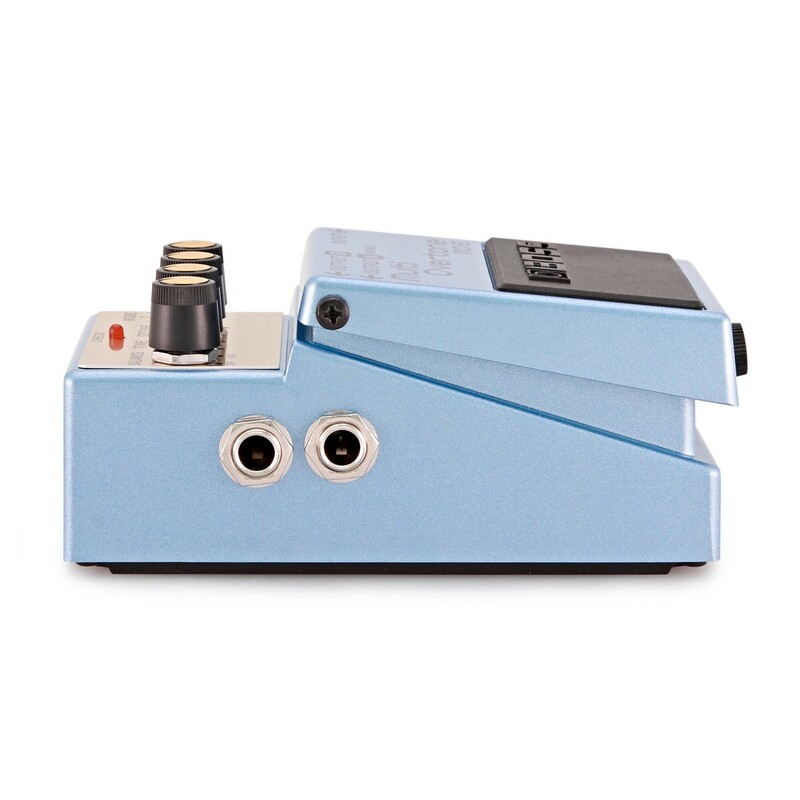 Multi Overtone Pedal is powered by their innovative multi-dimensional processing technology, offering rich sounds that complement and enhance your guitar?s original tone. Its powerful controls provide players with a wide range of tonal adjustments and is ultra-responsive to volume changes and your picking dynamics. Offering a mono or stereo output and suitable for bass guitars, Boss MO-2 Multi Overtone is the perfect companion for players wanting more out of their tone. 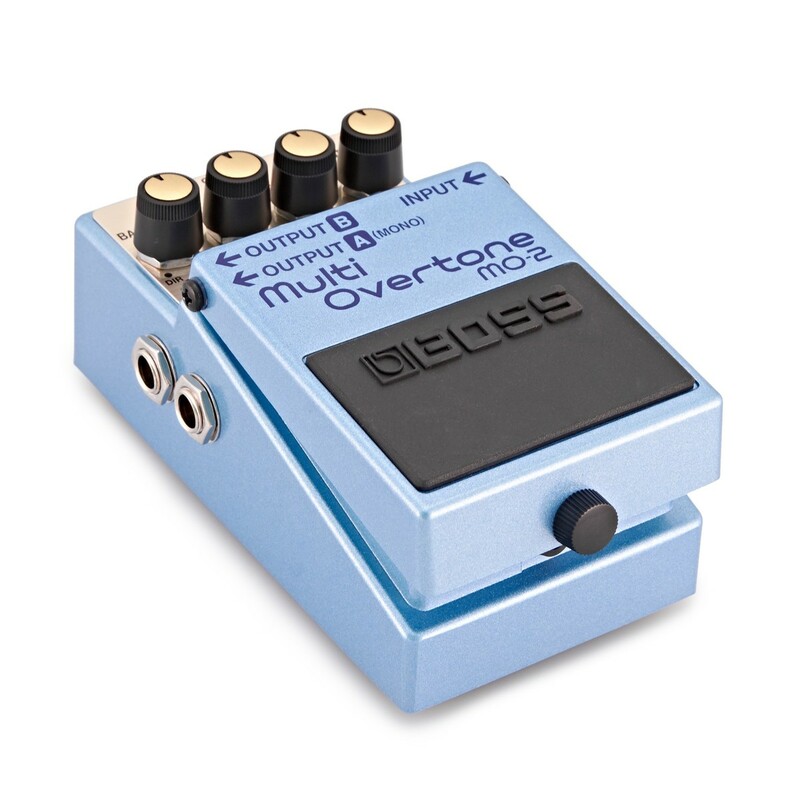 The Boss Multi-Overtone is the perfect tool to help you get inspired by your guitar all over again, with its impressive, harmonically rich sounds complementing and enhancing your guitar's sound. 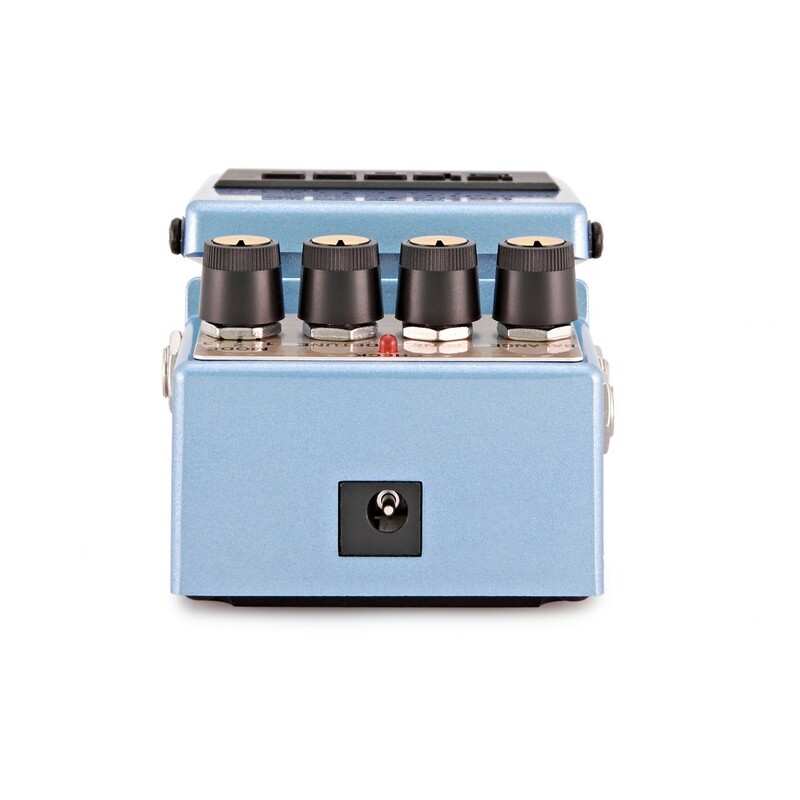 Its three different modes provide a wide variety of diverse tone-shaping possibilities, with the detune control delivering an extended range of impressive modulations. Experiments with the controls to make your sound shimmer with multi-string resonance or give it powerful textures reminiscent of organs and synths. Along with its incredible tones, the Boss MO-2 is equipped with mono and stereo outputs, letting players create excellent depth and definition. What makes this pedal the perfect companion for players is its ability to offer stunning effects for both clean and distorted guitars, and allows bassists to infuse their instrument with beautiful harmonic content. A unique feature of the MO-2 is Boss’ Multi-Dimensional Processing (MDP) technology, which works by analysing the studio signals in a variety of dimensions and then applying the perfect effect level to each stage. The end result is a bold, new sound with a previously unattainable range of expression and dynamic response.